Media-Ocrity #43 – Raiders of the Lost Ark and the Star Wars Prequels! We have an incredible 43rd episode of our fun podcast under the MULTI-MEDIA MEN banner called ‘Media-Ocrity‘, where the show is just – okay. Here on the show, we focus strictly on horror/sci-fi, comic books, and video games – basically all the fun stuff that tickles your fancy. 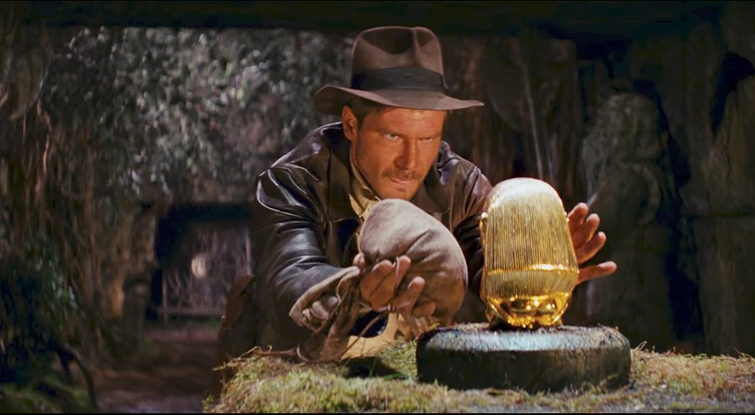 In our43rd episode, titled ‘The Indiana Jones Prequel‘, we talk about the Xbox One X, Raiders of the Lot Ark, and I take a Star Wars prequel quiz. You’ll be shocked to see how I did. It was so much fun. This episode is guaranteed to thrill you, chill you, and fulfill you. I am joined pop-culture wizard Jonathan Atterbury and comic book artist Jeremy Megert. This entry was posted on Friday, June 16th, 2017 at 11:00 am	and is filed under News, Podcast. You can follow any responses to this entry through the RSS 2.0 feed. You can skip to the end and leave a response. Pinging is currently not allowed. « E3 Round Up (2017)!